Spiritual science assigns Rock Crystal as a birthstone of Leo. Please note that this is different from the traditional or modern interpretations of birthstones. 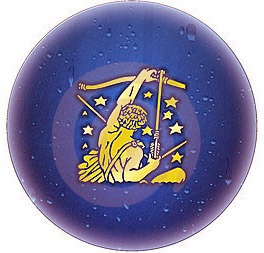 In our interpretation, for example, Chalcedony is a birthstone of Sagittarius, Tiger’s Eye birthstone of Gemini, etc. In the period from 23.07. to 22.08., our planet Earth is submerged into strong outpourings of the Temple of Ceremony and Nobility. These energies are best received by people born in the Zodiac Sign of Leo. The stone that best accumulates and stores the vibrations of this temple is Rock Crystal. So, beloved Leo individuals, Rock Crystal is your personal crystal, your birthstone. Our ancestors considered the qualities of Leo to be associated with rulership and Divinity. Many cultures saw in Leo a symbol of the guardianship. A figure of lion stood near the entrances of palaces, temples and during rituals to deter evil and darkness. During the time when the emanations of Leo directly impact our planet, we all have the opportunity to make progress in the development of our own spiritual being. This can be achieved by opening our heart center and receiving Leo’s Living Flame and essence inside of us. Our basic character treats will then reflect this touch of Leo’s individuality and true self-awareness. Many people are convinced that they are self-conscious, when they are merely obsessed with the gratification of their desires. In the evolutionary process, first the form is being gradually prepared, adjusted and oriented. This happens throughout eons of time. Then, there is a slow awakening of the consciousness that follows this building of form. The thinking, intuitive, and loving soul is able to take control over the form nature and explore every opportunity for its improvement. There are two important aspects of Leo. The first is their desire to enlighten themselves. This makes them long for self-discovery and self-perception, and moves them to experiment and acquire knowledge. The second is their desire to rule and dominate. This desire leads them to mastery and control over their personality, regardless of the motive – selfless or selfish all the same. The whole story about the functioning of Leo comes down to several important points: sensitivity to influences from outside, desires of their lower nature, and finally merging the soul with the personality and carrying out the Divine plan. The spiritual Leo is fully self-aware – mystical and spiritually developed. They are aware of themselves, capable of holding clear vision and motivated by spiritual intent. They are also capable of perceiving and using their innate sensitivity. They are mentally polarized and wisely aware of the reality. They can recognize the forces and powers of existence and therefore they are free from the usual glamor and illusion of an average person. Leo is often described with the words “battlefield of the light forces“. Leo is considered one of the most material of all signs. They are dominant, spontaneous, extrovert and creative. They possesses dignity and grace. A person born in the astrological sign of Leo wants to dominate their surroundings. They are ambitious, courageous, strong-willed, positive, independent, and self-confident. They are destined to be leaders and show their best when put in charge. Keywords of Leo are “I am in command, I want something, and everyone else must obey“. They will pursuit the things they want with enthusiasm and creative spirit. Leo has a very possessive nature. He or she will not run away from adverse conditions, going forward with the same tenacity to achieve their goals. Leo is a fiery character full of optimism and enthusiasm. They are intelligent and open-minded. Because of their positive nature, Leo expects the best from their environment. When this does not happen, they react swiftly, often in a bad way. Leo is always marching forward, holding their pride and boldy facing the sun. Whatever they choose, it will be in the middle of the spotlights, in the first row, or in the center of the stage. 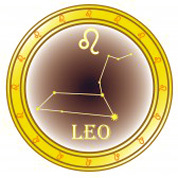 Leo brings sunshine into the lives of other people, with their radiant laughter and cheerful nature. 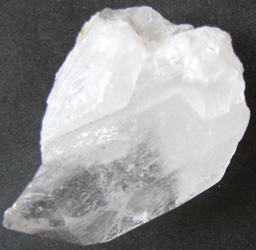 Rock crystal – Quartz – is a symbol of human spirit and intellect. It is transparent to milky white in color. Rock crystal can be found in many different forms. This powerful birthstone increases and boosts the energy of other crystals. It has a remarkable ability to receive and store the energy of many other crystals and can serve as their replacement. It is simultaneously a transmitter and receiver of metaphysical energy. This birthstone cleanses the aura and brings well-being. It facilitates communication with the higher plans and with the dimensions that are behind the veil. It increases the frequency of vibration of thought forms and leads our human consciousness into an elevated state of consciousness. It stimulates the natural crystal forms in the tissues and fluids of the organism to vibrate at a new healing frequency. Rock crystal works with all chakras and major glands. It protects and brings spiritual insights and enlightenment, peace and tranquility. It encourages emotional clarity and purity of heart. Rock crystal is the most powerful healing stone of all purposes. It is perfect for healing the wounds of a traumatic childhood and for increasing self-esteem. This Leo birthstone will not allow you to grieve in self-pity for what you cannot change. It is used for stimulation of the immune system and preventing serious diseases. It cleanses the blood vessels, facilitates the functioning of the heart, brings oxygen to the brain, and stabilizes blood pressure. In meditation it strengthens the energy field if used together with hematite as a grounding stone. For deep purification, charge your rock crystal with the energy of a morning sun. Put under the pillow, it wakes up psychic impulses and provides peaceful sleep. Choose your own birthstone and carry it always with you. Love and respect your crystal and always enjoy in its company. Apart from rock crystal, Leo may find interesting the following stones: Sunstone, Boji stones, Larimar and Amethyst.